A fat brown goose lay at one end of the table and at the other end, on a bed of creased paper strewn with sprigs of parsley, lay a great ham, stripped of its outer skin and peppered over with crust crumbs, a meat paper frill around its shin and beside this was a round of spiced beef. Between these two rival ends ran parallel lines of side-dishes: two little minsters of jelly, red and yellow; a shallow dish full of blocks of blanc-mange and red jam, a large green leaf-shaped dish with a stalk-shaped handle, on which lay bunches of purple raisins and peeled almonds, a companion dish on which lay a solid rectangle of Smyrna figs, a dish of custard topped with grated nutmeg, a small bowl full of chocolates and sweets wrapped in gold and silver papers and a glass vase in which stood some tall celery stalks. In the centre of the table there stood, as sentries to a fruit-stand which upheld a pyramid of oranges and American apples, two squat old-fashioned decanters of cut glass, one containing port and the other dark sherry. On the closed square piano a pudding in a huge yellow dish lay in waiting and behind it were three squads of bottles of stout and ale and minerals, drawn up according to the colors of their uniforms, the first two black, with brown and red labels, the third and smallest squad white, with transverse green sashes. 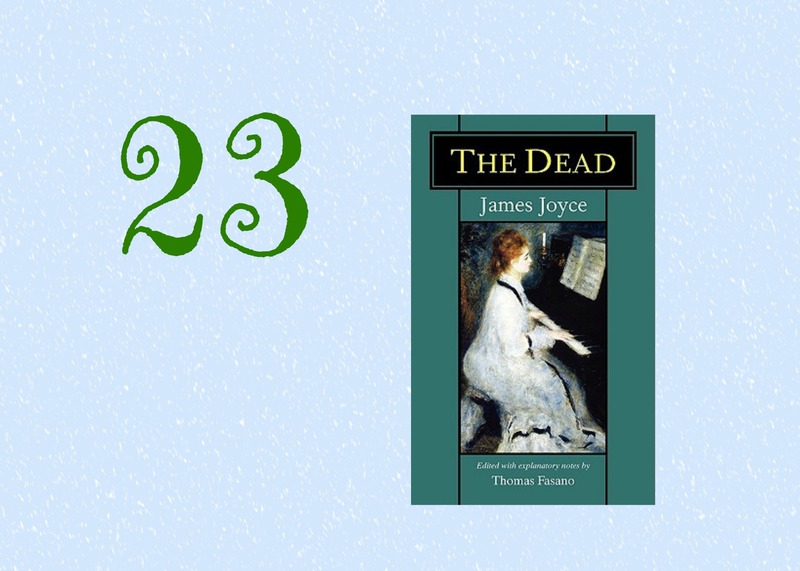 Like all the stories in Dubliners, “The Dead” depicts a character undergoing an epiphany, a transformative awakening to a new sense of self. So, how fitting that the story’s Christmastime party actually occurs in the early days of January, around the time of the Christian Epiphany. For all of us, Christmas can be a time of renewal. For Gabriel Conroy, it may need to be a complete overhaul. Yesterday, a “Top Ten Tuesday” topic over at The Broke and the Bookish got me thinking about the power of geography in literature. Every good book transports its readers somewhere—to another time, place, or experience. But certain books leave a geographical impression that is likely to remain beyond the last page. If you’re in the mood for a short trip, without the security checks and jet lag, let one of these titles take you. These books—both fiction and non—will transport you somewhere you’ve probably never been and that you usually can’t go on your own. Come along. 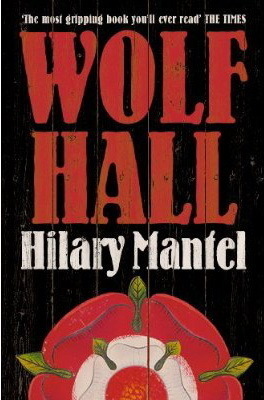 If you can navigate the sometimes treacherous language and confusing dialogue of Mantel’s prize-winning novel, you’ll get to go where most average citizens are never allowed: behind the scenes of the Tudor court during the reign of Henry VIII. Chief minister Thomas Cromwell will be your guide, as you follow the king around trying to persuade him of one bit of reform or another. Ultimately, Cromwell provides an up-close look at the inside of the Tower of London, otherwise known as the royal prison. 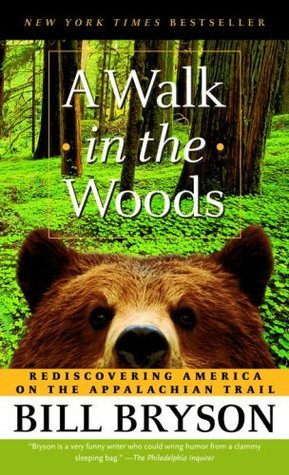 So maybe you can hit the Appalachian Trail anytime you like, but you probably won’t pack the sharp wit or keen observation skills of humorist Bill Bryson. Join him on this journey, and I promise your own trek will be the richer for it—if you ever take it. To really get acquainted with a place, you need to spend time with its people, right? 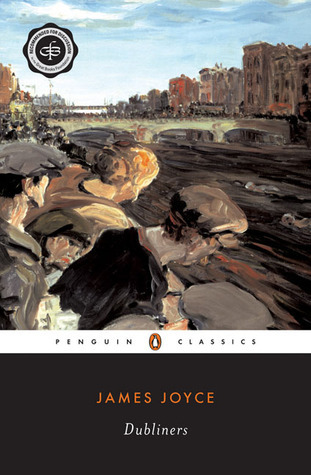 That’s exactly what happens when you read the 15 stories of James Joyce’s classic collection. Ireland is a small country, and all of the Dubliners Joyce introduces us to are living small lives, doing everyday things. But each character is on the verge of something big, an epiphany that may change everything. 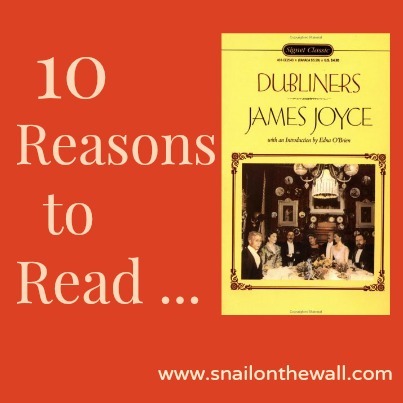 This book gives you a tour not only of Dublin’s pubs, shops, and shores, but also the human heart. 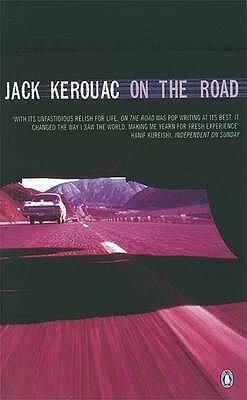 You’ve never experienced a road trip until you’ve accompanied beatniks Dean Moriarty and Sal Paradise on the original road trip. They will show you a wide swath of late-1940s America, from west to east and back west again. You might have to hitchhike part of the way, and you won’t always like your traveling companions, who often act moody, childish, and irresponsible. But you’ll see an awful lot of cool scenery on the way. I never said these destinations were going to be desirable. This nonfiction best-seller—soon to hit movie theaters—will give you the uncomfortable sensation of being circled by sharks while going without food and water for some 40 days. 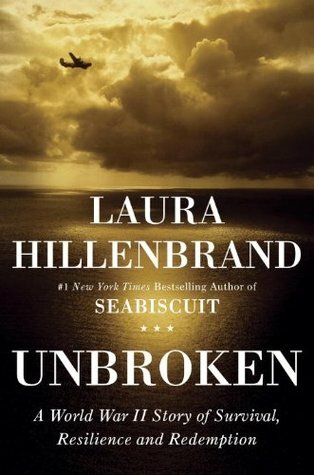 The next leg of the trip with hero Louis Zamperini heads to Japan, where he survives several POW camps and then explores the aftermath of the atomic bomb, before returning home to California. The Pequod welcomes you aboard in 19th-century Nantucket, back when the island was home to whalers and not high-society vacationers. The moment you set sail, you’ll realize that Captain Ahab is holding you captive on his quest for revenge. It’s a long, long, long journey, but you won’t soon forget your whale-hunting expedition with Ishmael in the Atlantic, Pacific, and Indian oceans. 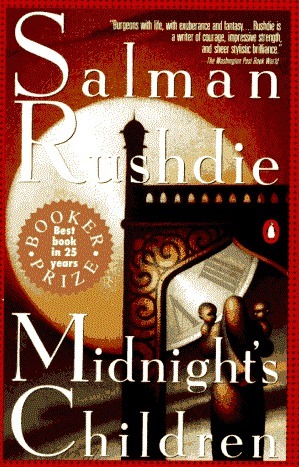 The story of Rushdie’s main character, Saleem, is a story of India. The two are so intertwined (Saleem having been born on the night that India achieved its independence) that, as we learn the personal past of Saleem and his family, we are also getting to know the national history of India. 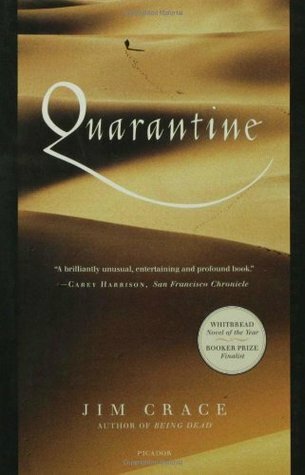 This magical narrative will walk you through births, deaths, battles, and love affairs. And it all ends in a pungent place you might not expect: a pickle factory. 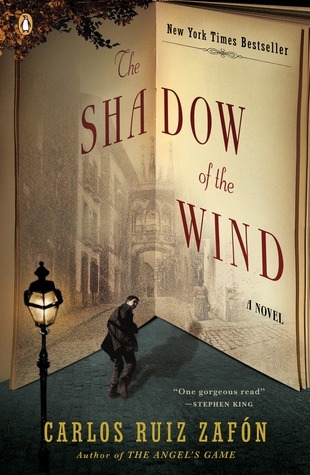 Readers are so taken with the setting of Zafón’s perennial book club favorite that an actual tour has been added to the back of recent editions. Now, if you go to Barcelona, you can retrace Daniel’s search for mysterious author Julián Carax through the back alleys of Barcelona. It’s a pity that, in real life, we can’t also visit that wonderful labyrinth that lives only in the pages of Zafón’s novel: the fantastic Cemetery of Forgotten Books. If you’ve read your Bible but found it hard to imagine Jesus’s 40-day experience in the desert, here is a different sort of account to take you there. You’ll spend time cave-dwelling not only with Jesus—who is very human in Crace’s reinterpretation—but also with some other sojourners who are likewise seeking redemption in the wilderness.